How many planets are there in the solar system? If you went to school sometime before 2006 you’re likely to say 9. Mercury, Venus, Earth, Mars, Jupiter, Saturn, Uranus, Neptune and Pluto. However, since then, Pluto has been demoted to “dwarf planet” due to the discovery of several other objects of the same size and composition beyond Neptune. One such object, Eris, is actually bigger than Pluto. If Pluto is a planet so are hundreds of other celestial bodies. Hence the reclassification. Pluto was discovered in 1930, but 100 years or so before, there was another candidate to the planetary club. A planet called Vulcan, orbiting between Mercury and the Sun. The main proponent of the existence of such a planet was no fool: Urbain Le Verrier, a French mathematician, was, after all, the person who had discovered Neptune just a few years previously. By Le Verrier’s time, in the mid 19th century, Uranus had almost completed a full orbit around the Sun since it had been discovered, in 1781. Hence, astronomers had quite a bit of data they could work with. One thing they found was that Newton’s law of gravitation could not accurately explain the irregularities in Uranus’ orbit. However, they could be explained if there was an as of yet undiscovered planet some way further out in the solar system. Le Verrier spent months and months on the problem and finally, in August 1846, presented his findings to the French Academy. A few weeks later, he sent the coordinates to Johan Galle at the Berlin Observatory. The same evening Galle and Heinrich d’Arrest found Neptune. Le Verrier’s had calculated its position to 1 degree. At the time, the discovery of Neptune was big news: it confirmed the validity of celestial mechanics. So it was not a huge stretch of the imagination to think of a similar solution when presented with the irregularities of Mercury’s orbit. As Mercury travels around the Sun its perihelion (the point at which it is closest to the Sun) advances a little bit. You can have a look at this process in the gif below. Note that while this “precession” is present in all eccentric orbits, since the planets of the solar system have nearly circular orbits this process is much slower than in the gif (though Mercury has a particularly eccentric orbit). Newtonian mechanics do predict this “perihelion precession” but the measured and calculated values differed by a very small amount: just 43 arcseconds per century (an arcsecond is one 3600th of a degree). Not a huge difference, but a significant one. Le Verrier called his hypothetical planet Vulcan, after the Greek god of fire. After all, if this planet existed, it would have been very close to the Sun and very very hot, making Mercury look like a chilly day in Siberia in comparison. In 1859 an amateur astronomer called Edmond Modeste Lescarbault observed a dark spot travelling across the sun. 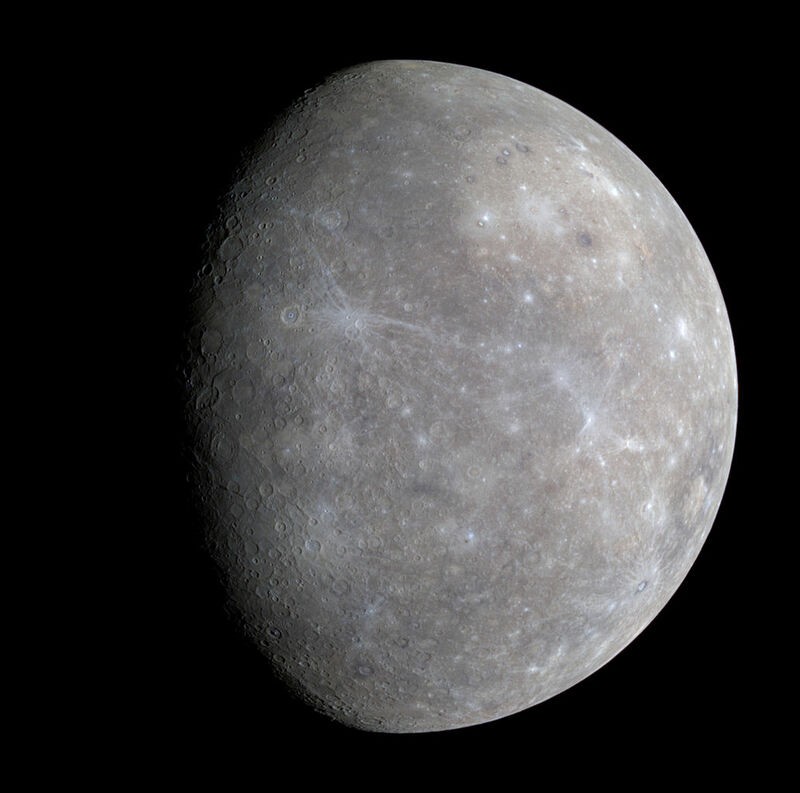 Having previously observed the transit (when a planet is directly in between the Earth and Sun) of Mercury 14 years earlier he guessed that it must be a transit of another, unknown, planet. He contacted Le Verrier, who perhaps, in his desire to see his hypothesis come true, accepted Lescarbault’s findings. Le Verrier announced the discovery of Vulcan in 1860. Not all, however, accepted Lescarbault’s discovery. Many more “transits” were observed in the next half a century. None of them confirming the existence of Vulcan. It was not until a little-known man published a research paper in 1915 that the irregularities in Mercury’s orbit were explained. Ok, I’m lying. The man is quite well known. His name was Albert Einstein and the paper he published was called “Explanation of the Perihelion Motion of Mercury from General Relativity Theory”. Einstein’s equations predicted Mercury’s perihelion precession without needing an extra planet. While the planet Vulcan does not exist, it is a great example of the scientific method in action. Scientists do their best to figure out a solution with the limited information they have, until someone comes up with another solution that better fits the data.